TIP: Remember whoever is attracted to the exterior of your home will expect the interior to harmonize. Making decisions that will destroy this historic continuity may affect the price you can sell your home for some day. It will almost certainly result in a badly restored house. Have you ever been to a heritage home when, upon entering, you felt like it simply “felt right”? Years ago when I still had my antique store I remember having an appointment with a woman who wanted to sell some antique furniture. I drove up to her Four Square house and admired the wide veranda, and beautifully maintained clapboard siding and original windows. Yet when I walked into the house I was shocked. Ok so this was a bit extreme, but in my travels as a heritage home consultant I see the results of this kind of decision-making constantly. But then I began to realize that many people had no idea what the interior of their house originally looked like. Sure there are lots of books on what to do with the exteriors of old houses but the interiors are often ignored. Magazines today, even well known old-house magazines, are susceptible to contemporary styling. By contemporary, I mean that they try to make houses of almost any age look like an Arts and Crafts house. This works for some homes but not for others. Houses in smaller communities, especially in the Canadian and American west, were different than those in the well populated eastern parts of their respective countries. Styles took longer to move westward and influence homebuilders. Most books feature these huge, expensive, homes which have little in common with normal homes of normal people. This book bridges this gap. 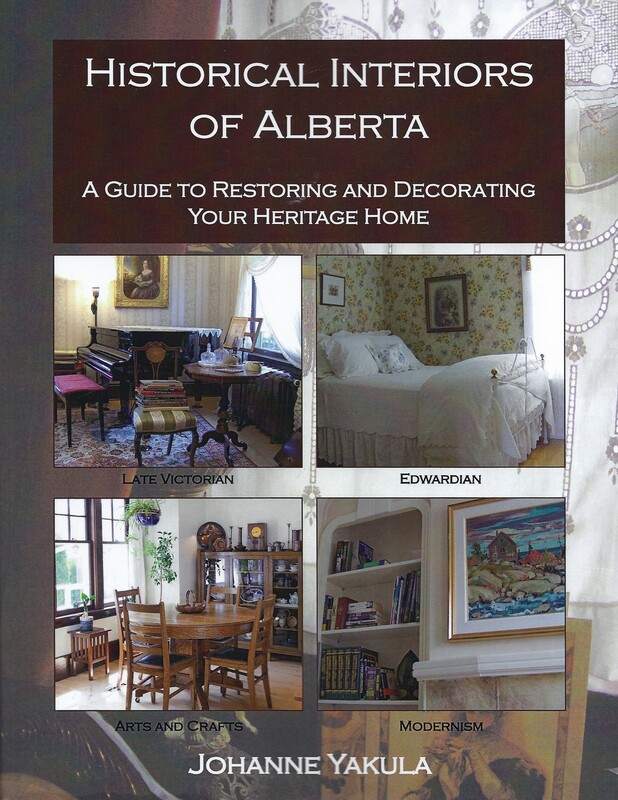 Whether you simply enjoy reading about the history of design, or own a home built between 1895 -1939, this book is for you. Click on the following link for information about what it contains, where and how you can purchase a book.